My parents Westie, Kramer, had to be put to sleep this morning. He was 13. This is him and his brother Buddy. I feel bad for my parents - they love their dogs so much. I'm hoping this little girl will cheer them up. We are headed to their house tomorrow along with my brother and his wife. I'm excited to spend time with my family. We've had a nice day at home today. Scott is home so he helped take care of Harper while I did a bunch of laundry and cleaned the house. I wanted to have a clean house to come home to after our trip so I can jump right in next week to decorating for Christmas. I feel so behind - it seems like everyone else is already done. We are pretty much the only house on our street without out lights on our house and ON. I just want this Christmas to be special because it's Harper's first. I know she won't remember it but I look forward to the traditions we will begin with our family. I don't want Harper to remember Christmas for the gifts she got but for the simple, magical time she spent with her family. I know I always remember Thanksgiving and Christmas as a time we spent with my grandparents and I can clearly remember those days at either one of their houses while the women cooked dinner - we watched parades on TV or football. I hope you all have a good Thanksgiving - whatever you are doing! And if you haven't read this post by Angie..........well - what are you waiting for????? I hope you have a wonderful Thanksgiving with your family. I know I will!!!! Hi Kelly! Just wanted to come by and wish you and your family a Happy Thanksgiving! I am so thankful for friends like you! You truly have a beautiful family. May God bless you in these winter holidays! Happy Thanksgiving! I hope you have a wonderful Thanksgiving with your family! I love that! Yes, Holidays should be special because of family and traditions... not gifts or the food :) Those are nice perks! Blessings to your sweet family! I'm so sorry to hear about Kramer:) I know that is so hard. 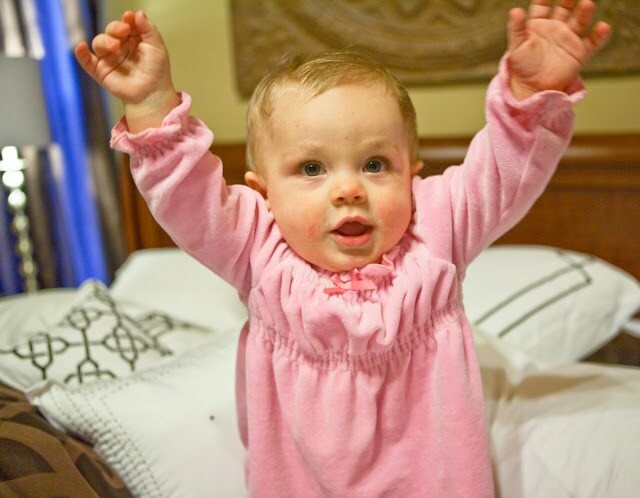 I'm sure Harper will bring much needed smiles to your parents' faces. Have a wonderful Thanksgiving with your family! I follow you on twitter and was so sad to hear about your parents dog. Never easy. I am sure Miss Harper will bring lots of smiles tomorrow! Happy Thanksgiving!! Oh that last picture just melts my heart. SO sweet. Hope ya'll have a great Thanksgiving - I know the Stamps fam walking through the door is exactly what the doctor ordered for your parent's hurting hearts. Be careful on the road! Love ya'll! Have a blessed Thanksgiving, Kelly! I read Angie's post yesterday and it just gave me chills. I love it when the Lord speaks to His children in such a tangible and undeniable way like that. Truly, that post was one of the most incredible things I have read in a long time! happy Thanksgiving to your sweet family! Wishing you and your family a very Happy Thanksgiving. Travel safe. Awww...I love the first picture of you and Harper! I will be saying a little prayer for your parents, because I know how rough it is to lose a beloved pet. Hope you guys have a safe and happy trip down south! I know I'm excited about spending the day with my family!!! And was that post by Angie not amazing?!?! I am so sorry to hear about your parent's dog. I am sure Harper will be able to cheer them up. Have a great Thanksgiving. you know what? all of your neighbors didn't go on a great missions trip last week... they missed out so they are BEHIND!!! NOT YOU! I saw your dad's tweet this morning.I was so sad for them and your mom had just blogged about their dogs last week. I know seeing all their family will make it better. I love the pictures Scott took today. Those are so sweet! I have read that post by Angie 3 times since yesterday and cried every time. It is incredible! Oh Kelly I am so sorry to hear about your parents dog. We just had to put one of ours to sleep last week and it is heartbreaking. They are such a big part of our family as well. Have a blessed holiday! Enjoy your family! Sorry about your parent's dog :( So sad. I am so with you about the magical time of christmas! I love the busy-ness of going from one family event to the next. Losing a pet is SO difficult! I feel for your parents! Animals are a part of the family! Have a wonderful Thanksgiving, Kelly and family! Can't wait to see pictures of all your decorations! we won't have many christmas decorations bc they are in boxes/crates on their way to Hawaii and we won't have them until after christmas...but we need to buy a tree and ornaments anyways...i'm sorry to hear about your parents dog, westies are so cute! Happy Thanksgiving! Aww, so sad. I hope your little one will be able to work her magic and lift some of the sadness away for your parents!! On a lighter note, I hope you all have a happy, safe Thanksgiving and don't worry, you aren't the only one who hasn't decorated yet!! Kelly, I wish you, Scott and Miss Harper a wonderful first Thanksgiving together. Your pose yesterday really hit home for me. I have always said I was grateful for my years of infertility, although they were the most painful years of my life, they also shaped me into I am today and I feel only made me a better mom in the long run. Not to mention that everytime I look at them I reminded of God's blessings and miracles and to thank HIM for every second. Also, Angie's post yesterday left me sobbing. There have been so many times in my life where things have happened and you just know with all of your being it's a sign of hope. I once heard it from a local Pastor refer to it as a GOD MOMENT. I truly believe in those God Moments and am thankful beyond words for them. Thats so sad for your parents! I bet Harper will really help lift their spirits though!! The last picture of you and Harper is beautiful! Hope y'all have a happy thanksgiving! oh...i am so sorry about your parents dog...i grew up with a westie and we had to put her down when she was 14, as well...they are the sweetest dogs ever...that picture reminded me of my kacee dog. little sweetie. have a happy thanksgiving. I spent today at my god daughter's house and their dog of 16 years, who her parents have had since they were married, went to doggie heaven today! I am sure your parents dog and Molly are already having great fun together! It is so funny in the south (we just moved back north from FL), Christmas almost starts before Thanksgiving, but up here, you don't see that so much!! I am "itching" to get Christmas started. It is so much more about the "magic" of the season than the gifts. At 51, I can remember a few really special gifts along the way, but mostly I remember the wonderful times. I'm sorry to hear about Kramer. What beautiful dogs! Really sad about Kramer! I have a Westie, I swear, this picture looks JUST like my little Trixie! Hope y'all have a wonderful Thanksgiving. P.S. I totally feel you about your tweet on Baby Gap. Those clothes are tiny! Why are they so expensive?!!? I am so sorry about your parents dog - I dread that day. I hope you all have a fantastic Thanksgiving! On a lighter note, have a wonderful Thanksgiving and relish in all that you are Thankful for! So sorry to hear about your parents' pup. I have a 14 year old mini-schnauzer that is definitely showing signs of age. It scares the heck out of me. I'm sure Harper helped to brighten their day. I'm so sorry to hear about your mom's Westie that had to be put to sleep. 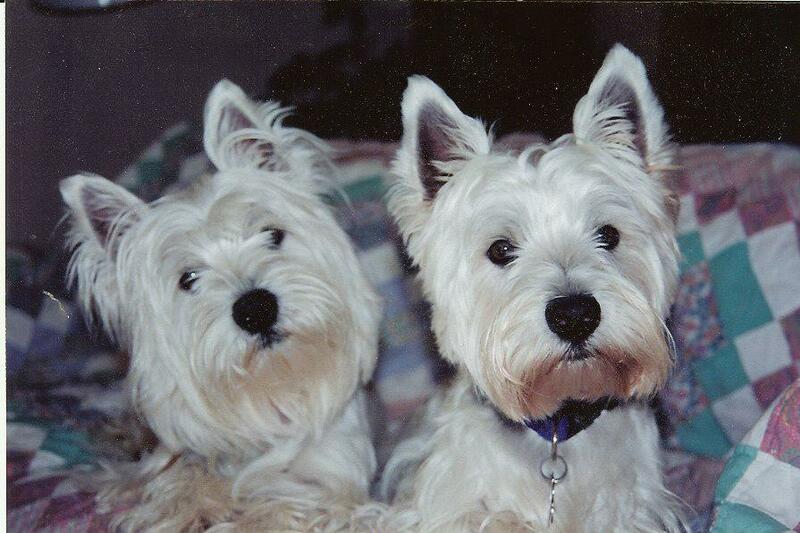 I have 2 Westies too and they are wonderful dogs. Ha-ha! I am the same way when I go out of town. The house MUST be clean when I come home. It absolutely drives my husband crazy but after 11 years of marriage he has learned not to fight it. Your blog is comforting to read.